It all started with a flyer that inspired me to move to Spain to teach English as a Second Language in the Madrid public school system. I always planned to go to law school, but I didn’t know exactly what type of law I wanted to practice. I was the first person in my family to go to college and unlike many of my classmates in law school, there were no lawyers in my family. After returning to the United States and starting my first semester at the University of Baltimore School of Law, I started teaching English as a Second Language for the Community College of Baltimore County. I had students from many different countries and continents. Since my students knew I was in law school, they shared their bad experiences with lawyers in this country. I was shocked at the stories I heard. Some were swindled by notarios, con-artists pretending to be cheap immigration lawyers who collect retainers and never deliver services – or worse, file fraudulent applications. Others were cheated by criminals who set up shop, collect retainer deposits from as many hopeful clients as possible, and move on to the next town leaving their clients out to dry. I realized that I had the opportunity to serve the underrepresented immigrant community. I opened my own firm to provide zealous advocacy and honest representation to those who need it the most. After traveling to several different countries, I believe that we are blessed to live in the greatest country in the world. I understand why so many risk their lives to come to this country in search of the American dream. It’s clear to me that I didn’t just fall into immigration law. If I hadn’t seen that flyer, I never would have taught English in Spain. If I hadn’t taught English in Spain, I never would have started teaching ESOL here in the United States. If I hadn’t taught my first ESOL classes, I never would have realized my passion for serving the immigrant community. Some might call it a series of coincidences. But I call it God’s divine plan. It is no coincidence that I became an immigration law practitioner. I consider it a privilege to be able to make a difference in people’s lives and change families’ histories forever. 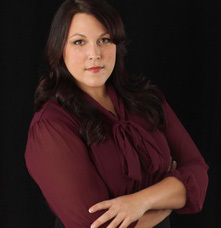 Nicole M. Whitaker became an immigration lawyer to serve the immigrant community. She focuses her practice on finding solutions for complicated immigration issues. She prides herself in solving problems for clients that other lawyers said were impossible to solve. Attorney Whitaker is an adjunct professor at the University of Baltimore School of Law where she teaches Lawyering in Spanish and Legal Analysis, Research and Writing. She continues to give back to the community by teaching English as a Second Language for the Community College of Baltimore County. Ms. Whitaker is licensed to practice law in Maryland and Florida.